The inquiries into one scandal-ridden Estonian bank branch reveal the deep failures of post-financial crisis governance—and the serious risks that money laundering poses to the financial system. With four separate investigations now underway, UK, U.S., EU, and Danish investigators are all peering into the murky dealings of the Estonian branch of Danske Bank, headquartered in Copenhagen. Over the course of a nine-year period beginning in 2007, the bank is suspected to have served as a key link in transferring more than $225 billion from Russia to London and other leading Western capital market centers. The scale of the unlawful flows that passed through Danske Bank is without precedent. But the scandal rocking the bank is only a microcosm of a wider problem, and a deeper failure of post-financial crisis governance. A central goal of European and American banking reforms following the financial crisis was to significantly improve banking risk management, through regulatory reforms and internal strengthening of compliance systems. But the unprecedented scale of malfeasance at major global banks since then demonstrates that this effort has been woefully inadequate. Across the globe, banks have faced record-high fines for corruption, money laundering, interest rate manipulation, and fraud. In the case of Danske Bank, the names of the original individuals and organizations believed to have engineered the illicit flows of cash from Russia and Azerbaijan are still unknown. So, too, are the beneficial owners of the UK-based companies registered in various Caribbean islands that accepted the funds. Danske Bank and other similar banks with branches in the Baltic countries are surely undertaking a full review of their compliance approaches and controls. But they need to go far beyond technical reviews to question the core culture of their institutions and the failure of their boards of directors to vigilantly ensure management oversight. Perhaps the findings of official investigations will wake up the sleepy bankers in their board rooms. If that happens, and if it precipitates real change in how banking risk is managed and compliance ensured, we may have the British to thank. Of all the ongoing investigations into Danske Bank, the British approach may be both the most original and productive. The British National Crime Agency (NCA) and its newly established affiliate, The National Economic Crime Centre (NECC), are now concentrating their efforts on cash coming from Azerbaijan. This appears to be a plan to go after what may be the single largest set of money laundering schemes in history. To combat such activities, the UK authorities are now using a new tool: Unexplained Wealth Orders (UWOs), which were created under the British Criminal Act of 2017 and have been effective since the start of 2018. In a series of court decisions, three UWOs have been brought against Mrs. Zamira Hajiyeva from Baku, Azerbaijan, who lives in London. The UWOs call on her to explain how she was able to raise the funds to own two UK properties valued at over $28 million, as well as jewelry valued at over $500,000 that the NCA impounded from Christie’s auction house. Mrs. Hajiyeva is the wife of Jahangir Hajiyev, who from 2001 until 2015 was chair of the International Bank of Azerbaijan. For many years, he was very close to his country’s all-powerful first family: President Ilham Aliyev and his wife Mehriban Aliyeva, who also serves as Vice President. But Hajijyev must have displeased them, perhaps taking too much of their cash; he was jailed for 15 years in 2016 and is now facing further charges. Mrs. Hajiyeva lives in a mansion a three minutes’ walk from the Harrods department store in London where, according to NCA documents, she spent around $21 million over several years. London was a logical second home for the family as the International Bank of Azerbaijan had many dealings in the United Kingdom and its affairs clearly interest the NCA. Journalists like Huseynov who investigate alleged corruption and money laundering face extreme risks. He is just one of 14 courageous Azerbaijani journalists who are in prison in their home country. Between March 2005 and March 2018, the following reporters have been killed in Azerbaijan with no official investigations into their deaths: Elmar Husenov, Alim Kazimli, Novruzali Mammadov, Rafig Tagi, Rasim Aliyev, Memman Galandarov, and most recently, Eyyub Karimov. The NCA’s decision to investigate issues arising from both the “laundromat” reporting and the disclosures of vast alleged money-laundering through Danske Bank will hopefully turn an international spotlight on such courageous reporters, who are running serious risks as they strive to secure transparency into vast cross-border financial transactions. The Danske Bank scandal underscores the intense complexity of global money laundering systems today, the repeated failures of internationally active banks to be sufficiently diligent in their risk management practices, and the formidable risks that journalists take as they seek to investigate the dark money trails. Forceful UK action could possibly involve prosecutions and serve as a warning to kleptocrats worldwide that the risks of using the country as a major base to invest their stolen assets are finally rising. The fact is that current practices will continue so long as there are no prosecutions of leading money launderers and top bankers. In the United States, after all, not a single chairman or chief executive officer of a global bank has faced criminal charges over the last ten years, despite multiple investigations by the FBI and U.S. Justice Department that ended with settlements involving multi-billion dollar fines. Cultural reforms in the boardrooms of banks are equally important. So long as board directors provide major bonuses to senior executives on the basis of short-term profit results, banking cultures that place making money above sound ethics and concern for their public reputation will persist. That kind of culture, which evidently held sway at Danske Bank, pervades many non-bank institutions too. It can be seen in the leading international financial centers that aid and abet the money launderers, be they crooked international businessmen or corrupt politicians. The enabling armies of lawyers, accountants, real estate brokers, consultants and major auction houses that conspire with international crooks to find ways to establish secretive offshore holding companies, transfer illicit funds from one country to another, and ensure these funds are soundly invested are as much at fault as the bankers and their inefficient regulators. Exposing and combatting such enablers will be difficult, but the stakes are very high. For one, the scale of international money laundering appears to be rising, as the huge sums that passed through Danske Bank illustrate. Unless illicit cross-border flows of finance are curbed, the stability of the international financial system will itself be placed at risk. Second, time and again these scandals are exposed by whistleblowers and investigative journalists. Their invaluable work demands great courage, and the risks they face are rising. Members of the Council of the European Assembly and other legislative bodies have at times sought to sound the alarm bell and pass measures to protect journalists. But such efforts are both too few and too weak. From Mexico to Turkey, from Egypt to Azerbaijan, journalists the world over are being jailed for investigating grand corruption. Those who long for a more accountable, transparent financial order should cheer on the inquiries into Danske Bank. A thorough reckoning with the bank’s transgressions—one that follows the money trail wherever it leads—could open the floodgates to further necessary investigations and eventual reform. The implications of the case are already enormous, but as one party involved recently put it, what we know now may just be the tip of the iceberg. A €230 billion money laundering scandal put Danske Bank ahead of a record 22 other contenders to win the 2019 Corrupt Actor of the Year award from the Organized Crime and Corruption Reporting Project. 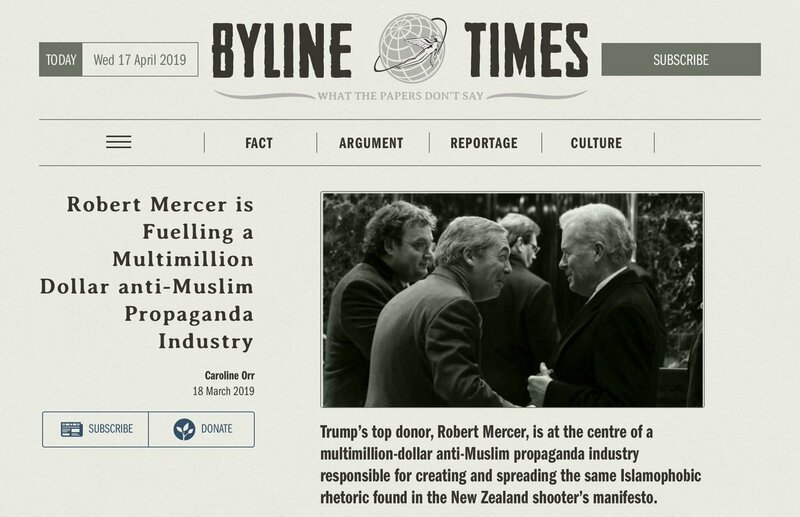 For the past seven years, the non-profit media organization has spotlighted the individual or institution that has done the most over the previous 12 months to advance organized criminal activity and corruption in the world. “Danske Bank is a worthy recipient of this prize. It highlights the role of the criminal services industry in enabling international corruption and crime,” said OCCRP co-founder and editor Drew Sullivan. The term “criminal services” refers to the banks, law firms, registration agents, accountants, and others who help criminals and corrupt officials hide their assets and legitimize their operations. “In the past 20 years, they’ve globalized organized crime and autocracy and helped everyone from Mexican drug cartels to Russian President Vladimir Putin to terrorists, autocrats, and almost every global threat,” he said. Sullivan was one of nine judges who made the final selection. Nominations were submitted by journalists and the public. US President Donald Trump, whose charitable foundation, family business, and presidential campaign are embroiled in investigations. In one operation, billions of dollars flowed through Danske’s Estonian branch from Azerbaijan to offshore companies, high-ranking officials, and even European politicians who praised the nation’s regime despite its chronic human rights abuses, according to an OCCRP report. This November, Denmark’s state prosecutor accused the bank of failing to institute risk management and control systems at its Estonian business. Prosecutors allege that managers in Copenhagen failed to ensure the branch’s compliance with the Danish Anti-Money Laundering Act. The bank is also being investigated by the U.S. Justice Department and, according to Bloomberg News, has admitted that its Estonian branch was a central causeway for illicit funds from the former Soviet Union. About $230 billion in transactions are under scrutiny, Bloomberg reported. In 2013, the head of the bank’s Baltic trading unit, Howard Wilkinson, warned the Danske executive board in Copenhagen about suspicious activities in Estonia. But Wilkinson’s warnings were ignored. Danske Bank Estonia has also been implicated in other money-laundering schemes. An OCCRP investigation — the Russian Laundromat — revealed that $20 billion to $80 billion was fraudulently moved out of Russia through a network of global banks that included Danske. Danske stock has plunged by half in the last year amid a separate European Union investigation and as other inquiries proliferate. Bank officials, including Chief Executive Thomas Borgen, have been forced out as the scope of the scandal emerged. The Danske Bank operation demonstrates “the structural nature of corruption,” said South African anti-corruption activist Hennie van Vuuren, a judge in the OCCRP vote. Philippine President Rodrigo Duterte was OCCRP’s Person of the Year in 2017. The only previous time judges selected an institution rather than an individual was in 2013, when the award went to the Romanian Parliament after it took steps to decriminalize bribery and other forms of corruption. OCCRP serves as an investigative reporting platform for 46 member centers that stretch from Europe to Central Asia and across the Atlantic into Latin America. It works to advance public understanding of how organized crime and corruption affect lives by advancing sharper coverage of corruption and producing in-depth, cross-border investigative stories. The Swedish Development Agency, USAID, the Danish Government, Luminate, the Open Society Foundations and other major international donors support OCCRP, which has offices in Sarajevo, Bucharest, Riga, Tbilisi, and Washington DC. A writer, educator and journalism professor, is the founding director of The University of Hong Kong’s Journalism and Media Studies Center. Editor-in-chief of the Investigative Reporting Lab in Macedonia and a member of OCCRP board of directors. A Russian and American journalist, author, and activist noted for opposition to Russian President Vladimir Putin. Director of CONNECTAS, a Colombia-based platform for collaborative journalism in Latin America, and chief of party of the Investigative Reporting Initiative in the Americas, a project of the International Center for Journalists. Award-winning cross-border investigative reporter, co-founder and director of OCCRP, and a founder of the Romanian Center for Investigative Journalism. Executive director of Arab Reporters for Investigative Journalism. Author and endowed professor at the Schar School of Policy and International Affairs at George Mason University as well as founder and executive director of the Terrorism, Transnational Crime and Corruption Center. Investigative journalist and media development specialist, founder of the Center for Investigative Reporting in Bosnia and Herzegovina and co-founder and editor of OCCRP. The Deutsche Bank headquarters during a police raid in November 2018. As Deutsche Bank AG was pulled deeper into a downward spiral last year, its executives engaged almost two dozen times with German Finance Ministry officials. Representatives of Germany’s largest bank had 23 discussions with officials since the new government was formed in March, most of them with Deputy Finance Minister Joerg Kukies. Chief Executive Officer Christian Sewing and supervisory board Chairman Paul Achleitner each had six exchanges, according to a letter from the Finance Ministry that was seen by Bloomberg. The frequency of the talks, which included discussions of “strategic options,” highlights the close involvement of Berlin as Deutsche Bank struggles to reverse years of losses and declining revenue. The meetings started in mid-May, after a tumultuous leadership change that fanned concern about its strategy. The shares lost half their value last year, stoking speculation about a merger with Germany’s second-largest bank, Commerzbank AG, which is still part-owned by the government. The government would back a potential merger between the two banks, people familiar with the matter have said. It has recently discussed plans with executives including Sewing how to assist in a potential merger, Bloomberg News reported last month. “The German government is open to economically sensible options,” the Finance Ministry wrote. The letter, reported earlier by Frankfurter Allgemeine Zeitung, was a response to questions from a member of Parliament who had inquired what the government’s stance was regarding a potential merger of the two lenders. Representatives for Deutsche Bank and the Finance Ministry declined to comment. Other executives participating in the meetings include Chief Regulatory Officer Sylvie Matherat, Chief Financial Officer James von Moltke, investment banking head Garth Ritchie and Asia head Werner Steinmueller, according to the letter. The Federal Reserve is examining how Deutsche Bank AG handled billions of dollars in suspicious transactions from Denmark’s leading lender, according to people familiar with the matter, further intensifying what could be one of the biggest money-laundering scandals ever. One of the biggest money laundering scandals in recent history is intensifying. Bloomberg’s Chad Thomas reports. Deutsche Bank Chief Executive Officer Christian Sewing said last week he’s launched a further internal investigation into the lender’s role as a correspondent bank for Danske, even though he said he hasn’t seen any evidence of wrongdoing. The bank had previously reviewed its actions in the case, Sewing said at an event in Berlin. He urged people not to “prejudge” the bank or its employees, presuming their innocence unless proven guilty. The U.S. Department of Justice and criminal authorities from other countries have launched investigations into Danske Bank’s business in Estonia amid accusations it became a European hub for money launderers from the former Soviet Union. The Danish bank was ordered by its domestic regulator to stockpile an extra $1.5 billion in capital to deal with the costs of potential penalties. Danske relied on the global presence of Deutsche Bank, Bank of America Corp. and JPMorgan Chase & Co. to handle conversions of foreign currencies into U.S. dollars on behalf of its clients from 2007 to as recently as 2015, people familiar with the arrangement have said. Bloomberg reported in November that Deutsche Bank had been contacted by the Justice Department and was thought to have handled the bulk of the transactions under scrutiny. There was no sign at the time that the three firms were themselves targets of the Justice Department’s investigation. Deutsche Bank said that month it has controls in place when acting as a correspondent for other banks, but its ability to know about their clients is limited. As a correspondent, “your only relationship is with the bank and the bank itself has the responsibility to check its own client to monitor the transaction and to do all these kinds of checks,” a company representative said at the time. Deutsche Bank has also struggled with U.S. stress testing that’s meant to measure a firm’s ability to withstand another crisis, failing the Fed’s annual exercise as recently as last year. The agency faulted “widespread and critical deficiencies” in the capital-planning abilities of the bank, which was alone among major domestic and foreign lenders in facing such an objection from the Fed. Senator Elizabeth Warren -- who already took a first step to enter the race to become the Democratic nominee for president in 2020 -- and fellow Democrat Chris Van Hollen have called for Senate Banking Committee Chairman Mike Crapo to probe the company’s correspondent banking business for vulnerability to money laundering. How sorry is Deutsche? Let it count the 628 million ways. We're not even through the first month, and Deutsche Bank is about to cross the $8 billion fine threshold for 2017. As part of a settlement with American and British regulators, Deutsche is gonna shell out a combined roughly $625 million in fines for engaging in $10 billion of what was essentially providing profitable aid in legalized money laundering for Russian money. A consent order filed by the New York State Department of Financial Services contains a plethora of fun details about the $10 billion worth of mirror trades executed by Deutsche between 2011 and 2015. Operating through the securities desk at Deutsche Bank's Moscow affiliate ("DB-Moscow"), certain companies that were clients of that desk routinely issued orders to purchase Russian blue chip stocks, always paying in rubles. The size of the typical order ranged in value from $2 to $3 million. Shortly thereafter - indeed, sometimes the very same day - a related counterparty would sell the identical Russian blue chip stock in the same quantity and at the same price through Deutsche Bank's London branch ("DB-London"). The counterparties to the trade were actually closely related on both sides, such as through common ownership. rationale. The counterparties frequently lost money on these trades, due to fees and commissions that were substantially credited to DB-Moscow by Deutsche Bank pursuant to the brokerage arrangements between Moscow and London. For example, typically, it made no difference to the counterparties the particular security to be bought or sold. All that mattered was that there was a matching trade available. In one instance, a counterparty representative, who was buying shares for one counterparty and selling the identical shares for a related counterparty, told a DBMoscow trader, "I have a billion rouble today... Will you be able to find a security for this size?" And the consent order goes on to allege that, when mirror trades failed to materialize, Deutsche would also park money in other securities of equal size without any real obvious financial logic and also made a habit of working with sellers registered in tax havens. Perhaps the most Deutsche phrase in the whole order is that the bank also engaged in "One-legged trades." The DFS is also quite critical of how Deutsche overlooked so many red flags regarding client behavior that it essentially did the banking equivalent of marrying someone who doesn't speak to their family and has never introduced you to a single friend of theirs. B received from two different components of Deutsche Bank (which did not communicate with each other), the European Bank contacted a senior Anti-Financial Crime ("AFC") employee at DBTCA who supervised special investigations, in an attempt to reconcile these concerns. The senior compliance employee never responded to the European Bank. Nor did the employee take any steps to investigate the basis for the European Bank's inquiry, later explaining this omission on the ground that the employee had "too many jobs" and "had to deal with many things and had to prioritize." What isn't spoken of in the order, but which hangs over it like a geopolitical albatross, is that the bank holding an enormous amount of Donald Trump's debt has been caught acting naughty in the country that has become Trump's most glaring diplomatic question mark. And we won't even go into how this latest fine will affect Deutsche bonuses going forward because apparently someone has gotten really sensitive about that kind of stuff and is acting like a real snowflake on social media. BERLIN — German authorities say they’ve seized properties worth 40 million euros ($45 million) and millions more in cash in an investigation linked to a big Russian money laundering scheme. Federal investigators and Munich prosecutors said in a statement Wednesday the seizures of properties in central and southern Germany came after three years of investigating three individuals, whose identities weren’t released. Some 6.7 million euros was also seized from German banks and another 1.2 million euros from a Latvian bank. Prosecutors allege “income from money laundering in connection with the so-called Russian Laundromat was invested in high-value real estate” in Germany. They say the scheme involved moving some $22 billion from Russia into Europe through banks in Moldova and Latvia using fictitious companies. Neither police nor prosecutors were available for further details. One of the largest banks in Sweden, Swedbank, may have been used for extensive, systematic money laundering for nearly a decade. A total of USD 5.8 billion has been funneled between suspect accounts in Swedbank and Danske Bank in the Baltics. Of this, USD 26 million is linked to the Russian tax fraud that was uncovered by accountant Sergei Magnitsky. For the past five months, Swedish television SVT has had access to a large quantity of classified documents detailing Danske Bank’s dealings with Swedbank. There were a large number of transactions between the banks’ clients between 2007 and 2015. The analysis reveals that 50 of Swedbank’s customers that show several risk indicators of suspected money laundering have funneled a total of USD 5.8 billion through the bank. “It’s a massive scandal. From what we’ve learned from SVT’s information, Swedbank’s accommodation of suspicious transactions comprised a significant part of the money laundering operations, in parity with Danske Bank,” says Louise Brown, corruption expert and chair of Transparency International’s Swedish chapter. The investigation also shows transactions that can be linked to the most extensive tax fraud of its kind in Russian history, which was exposed by tax accountant Sergei Magnitsky, leading to his death. This fraud prompted the enactment of the Magnitsky Act in the United States in 2012, which imposed sanctions on a number of implicated Russian citizens. The fraud itself occurred in Russia in 2007, when a total of USD 230 million was paid out in the form of phony tax refunds. The money came from American financier Bill Browder’s investment fund Hermitage Capital Management, which had paid extensive profits tax to the Russian government. Tax accountant Sergei Magnitsky was tasked with investigating the fraud. The perpetrators turned out to be not only career criminals, but also judges and police officers. But instead of arresting the implicated officials, the police arrested Magnitsky. “He exposed the perpetrators and even personally testified against the police officers who were involved. But instead of the law enforcement authorities prosecuting the people who had stolen the Russian government’s money, they arrested Sergei Magnitsky,” Bill Browder tells SVT. After some time in the infamous Butyrka prison, Magnitsky fell ill and was diagnosed with pancreatitis. After nearly a year in captivity, he was found dead in his cell on November 16, 2009. His body bore the marks of handcuffs and physical assault. “After conducting a public investigation, we have two versions. He died because he was not given medical treatment, he was not treated in prison. Or maybe he died because he was deliberately killed,” says Zoya Svetova, who investigated the Magnitsky case in Moscow. Now SVT reveals that some of the stolen money leads to one of Sweden’s largest banks: Swedbank. A total of USD 26 million from the tax fraud was funneled to about 50 accounts in Swedbank. The money was transferred via companies suspected of money laundering in the highly publicized scandal in Danske Bank. “This is blood money, and anybody who thought they could just sort of profit a little bit and make a bit of money off of some bad guys has another thing coming,” Browder says. Swedbank’s Head of Group communication, Gabriel Francke Rodau, tells SVT that Swedbank actively monitors transactions, to reveal criminal activity. He confirms that Swedbank has identified suspected money laundering and reported the activities to the Swedish Financial Intelligence Unit. “Swedbank have zero tolerance on money laundering and when we see signs, we act,” Rodau says. Gabriel Francke Rodau did not want to answer the question if Swedbank has been aware that money stolen in the Magnitsky Case was funneled to about 50 accounts in Swedbank. The CEO of Swedbank, Birgitte Bonnesen, has declined an interview by SVT. Authorities in France, Denmark, the United States and elsewhere have already been investigating Danske Bank’s business in Estonia. The bank is suspected of extensive money laundering in Estonia in the years 2007–2015. The full investigation “Swedbank and the money laundering“ is available in english on SVT Play. This article is one of many about the suspected money laundering in Swedbank. Click on one of the chapters to continue reading. In Swedish only. OCCRP has previously exposed three such schemes: The Proxy Platform, the Russian Laundromat, and the Azerbaijani Laundromat. Now, OCCRP and its reporting partners reveal a unique new Laundromat, created by a prestigious financial institution. This time, the work shows not only its beneficiaries but also exposes its mastermind and operator — Troika Dialog, once Russia’s largest private investment bank. The scheme was discovered in a large set of banking transactions and other documents obtained by OCCRP and the Lithuanian news site 15min.lt. The data, which was compiled from multiple sources, represents one of the largest releases of banking information ever, involving more than $470 billion sent in 1.3 million leaked transactions from 233,000 companies. The main purpose of the system we’ve named the Troika Laundromat was to channel billions of dollars out of Russia. But it was much more than a money laundering system: The Laundromat allowed Russian oligarchs and politicians to secretly acquire shares in state-owned companies, to buy real estate both in Russia and abroad, to purchase luxury yachts, to hire music superstars for private parties, to pay medical bills, and much more. To protect themselves, the wealthy people behind this system used the identities of poor people as unwitting signatories in the secretive offshore companies that ran the system. Read on below for the details. At first blush, Ruben Vardanyan and Armen Ustyan have nothing in common beyond their Armenian roots. Vardanyan is a wealthy Russian banker who once led Troika Dialog, the country’s largest private investment bank. He’s spoken at the World Economic Forum in Davos and spent tens of millions of dollars on philanthropic projects in his native Armenia. Ustyan is a seasonal construction worker who shares a chilly apartment with his wife and parents in northern Armenia when he isn’t renovating flats in Moscow. But Ustyan’s signatures on documents he says he’s never seen draw a direct line to Troika — and to a financial Laundromat that shuffled billions of dollars through offshore companies on behalf of the bank’s clients, many of whom were members of Russia’s elite. The system enabled people to channel money out of Russia, sidestep restrictions in place at the time, hide their assets abroad, and launder money. It also supplied cash to Russian President Vladimir Putin’s friends and powerful oligarchs, and enabled criminals to mask the illicit origins of their cash. Ustyan’s name and a copy of his passport appear in the bank documents for an offshore shell company that played a role in Troika’s system. The company was one of at least 75 that formed the complex financial web, which functioned from 2006 to early 2013. Over that period, Troika enabled the flow of US$ 4.6 billion into the system and directed the flow of $4.8 billion out. Among the counterparties on these transactions were major Western banks such as Citigroup Inc., Raiffeisen, and Deutsche Bank. The dozens of companies in the system also generated $8.8 billion of internal transactions to obscure the origin of the cash. At the time, Vardanyan was Troika’s president, chief executive officer, and principal partner. He enjoyed a reputation as a Western-friendly representative of Russian capitalism, known for working to improve the country’s business environment and for co-founding the Moscow School of Management Skolkovo. Meanwhile, employees at Troika were setting up the opaque financial system — dubbed here the Troika Laundromat because of its resemblance to previous money laundering schemes uncovered by OCCRP. As with the previous Laundromats, many of the large transactions were made on the back of fictitious trade deals. The bogus deals were invoiced variously as “goods,” “food goods,” “metal goods,” “bills,” and “auto parts.” All the invoices included in the leak were signed by proxies and sent from Troika.ru email addresses. This portrait of the operation emerges from a trove of leaked banking transactions and other documents obtained by OCCRP and the Lithuanian news site 15min.lt, and shared with 21 media partners. As a whole, the data set includes over 1.3 million banking transactions from 238,000 companies and people, as well as thousands of emails, contracts, and company registration forms. This analysis of Troika’s network is based on a subset of the data. In an interview, Vardanyan said his bank did nothing wrong and that it acted as other investment banks did at the time. He stressed that he couldn’t have known about every deal his enormous bank facilitated for its clients. Reporters found no evidence that he was ever investigated or accused of any wrongdoing by authorities. His signature was found on only one document in the entire scheme, in which he gives a loan to a Troika Laundromat company. Vardanyan described the system as a private wealth management service. Though such practices were considered business as usual in Russia at the time, specialists note that systems like the Troika Laundromat can have serious repercussions. The Laundromat wasn’t just a money laundering system. It was also a hidden investment vehicle, a slush fund, a tax evasion scheme, and much more. 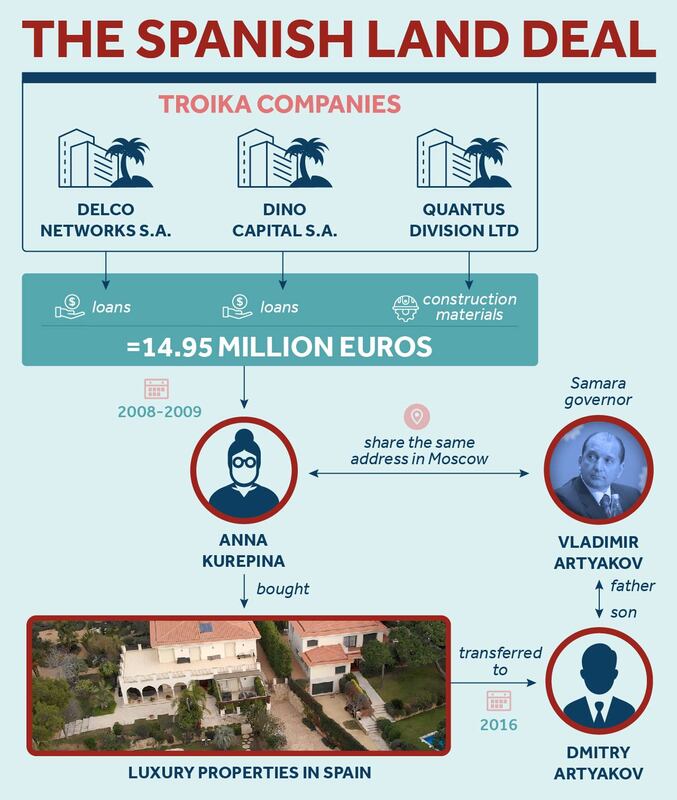 Troika’s clients also used it to buy properties in Great Britain, Spain, and Montenegro; to acquire luxury yachts and artwork; to pay for medical services and World Cup tickets; to cover tuition at prestigious Western schools for their children; and even to make donations to churches. In addition, the Troika Laundromat enabled organized criminal groups and fraudsters to launder the proceeds of their crimes. OCCRP and partners have identified several high-level frauds perpetrated in Russia that used Laundromat companies to hide the origins of their money. Fraud money in the Troika Laundromat. Click to enlarge. One of these schemes, known as the Sheremetyevo Airport fuel fraud, took place from 2003 to 2008 and artificially inflated aviation fuel prices while depriving the Russian state of more than $40 million in tax revenue. The scheme led to a hike in plane ticket prices. More than $27 million was sent by companies involved in the fraud to Troika Laundromat accounts. Vardanyan has not been implicated in the scheme and said he had no knowledge of it. In 2010, two years after the fraud ended, Troika Dialog began consulting for the airport along with Credit Suisse. In a third case, at least $69 million went to companies associated with Sergei Roldugin, a Russian cellist and one of Putin’s best friends, who became famous after his vast unexplained wealth was revealed by OCCRP, the International Consortium of Investigative Journalists, and other media partners in the Panama Papers project. Some of the money that Roldugin’s companies received from the Laundromat originated in a massive Russian tax fraud exposed by Sergei Magnitsky, a Russian lawyer who died in jail after revealing it. Roldugin didn’t respond to an email requesting comment, and Vardanyan said that he knew of the cellist, but was not aware that he had any business dealings with Troika. 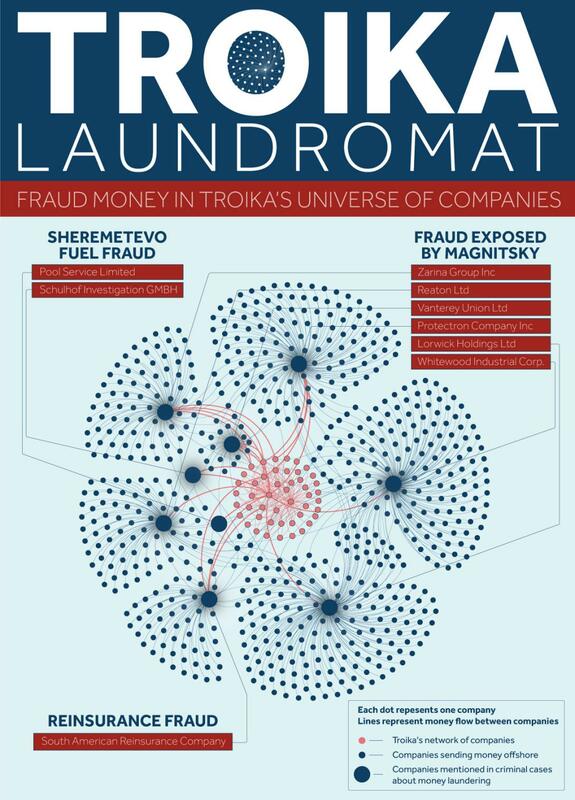 Companies involved in the fraud exposed by Magnitsky moved more than $130 million through the Troika Laundromat. In fact, hundreds of millions of dollars went into and out of the Laundromat for unknown purposes. Vardanyan said he was not aware of any of these transactions. Vardanyan and his family were among those who received money from the Laundromat. More than $3.2 million was used to pay for his American Express card, went to accounts belonging to his wife and family, and paid school fees for his three children in Great Britain. Asked about these sums, Vardanyan said the offshore companies Troika created serviced his own companies in addition to the bank’s clients. THE TROIKA LAUNDROMAT'S ROLE IN PREVIOUS SCANDALS. At least $17 million arrived in Troika Laundromat accounts from companies involved in a massive tax evasion scheme set up by a Russian citizen, Sergei Tikhomirov. According to Russian court documents, Tikhomirov allegedly controlled dozens of companies that he used to conclude fake service contracts with several Russian insurers. The insurance companies then allegedly paid him for his “services” — money that would, after a series of transfers, end up in the Troika Laundromat. Tikhomirov did not respond to phone calls seeking comment. Sergei Roldugin, a Russian cellist and one of Vladimir Putin's best friends, gained notoriety after OCCRP, the International Consortium of Investigative Journalists, and partners drew on documents from the Panama Papers leak to expose his secret business dealings. Believed to be a proxy for Putin, Roldugin received at least $69 million from key Troika Laundromat companies. Some of the transactions were questioned by the compliance team of Ukio Bankas, the Lithuanian lender where the accounts were held, but reporters found no evidence that Ukio ever intervened or reported these payments to regulators. For example, two companies associated with Roldugin signed 16 contracts with a pair of Laundromat companies over a period of two weeks. Shortly thereafter, all 16 contracts were terminated, earning the cellist $11.6 million in cancellation fees. Sergei Magnitsky was a Russian lawyer who died in jail after exposing the people who stole $230 million from the country’s treasury through fraudulent tax refunds. The fallout from his death included the passage in the United States of the Magnitsky Act, which allows for the sanction of individuals known to have committed human rights violations. Six companies involved in the theft sent more than $130 million to Troika Laundromat accounts. The money was then distributed onward to unknown destinations. On a pleasant patch of land on Spain’s Costa Brava coast, cooled by tall pines, are two impressive homes with red tiled roofs. In 2014, both were sold to Dmitry Artyakov, the son of the former governor of the Russian region of Samara, and his wife. The sale was made by an 86-year-old woman who was registered at the governor’s Moscow address. The woman’s relationship with Artyakov is unknown. As it turns out, In 2008 and 2009, two Troika Laundromat companies had given this woman a total of 14.7 million euros in loans — without requiring any collateral. Ukio Bankas documents show she spent a large portion of this money on Spanish properties, including the plots on which these two homes now stand. Troika Laundromat companies were used to hide investments made by Russian businessmen abroad. In the months before Russia and Georgia went to war in August 2008, the Laundromat funnelled $85 million to Multiplex Energy Limited. At the time, the British Virgin Islands-based company was engaged in buying the water supply system of the Georgian capital, Tbilisi, and two other cities and nearby villages. The non-transparent privatization left people in Tbilisi, Mtskheta, and Rustavi wondering who was supplying their water. The money came from three core Troika Laundromat companies and from a Russian investment fund, Renaissance Capital. The Troika Laundromat is unique among the Laundromats that have been uncovered in recent years in that it was created by a prestigious financial institution. 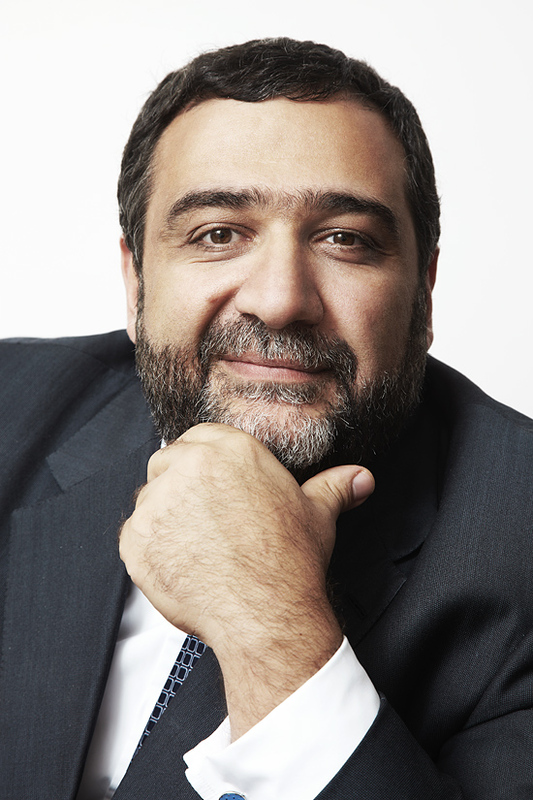 Read about how Ruben Vardanyan celebrated Troika reaching $1 billion in value. Established in the early 1990s, Troika Dialog became Russia’s largest private investment bank. It operated under Vardanyan’s leadership until 2012, when it was purchased by Sberbank, the nation’s largest state-owned lender. Other major international banks, including Credit Suisse and Standard Bank Group, did significant business with Troika as well. Starting in 2006, Troika employees began putting together the pieces of the Troika Laundromat. Four essential elements are needed to build a functioning Laundromat: a bank with low anti-money laundering compliance standards; a maze of secretive offshore companies to hold accounts at the bank; proxy directors and shareholders for both the companies and the accounts; and the so-called formation agents that can quickly create, maintain, and dissolve the offshore companies as needed. The bank orchestrated all of these components of the Troika Laundromat, in addition to directing the money flows and fake trade deals that made up its operations. The pivotal mechanism was based on trade: Shell companies created bogus invoices for non-existent goods and services to be purchased by other companies in the system. The practice provides a fig leaf of legitimate economic activity that makes the transactions appear less suspicious to regulators. Al-Qaida founder Osama bin Laden used a similar system to move money around the Middle East, she said. If Troika was the capstone of the Laundromat, its cornerstones were three British Virgin Islands-based shell companies: Brightwell Capital Inc., Gotland Industrial Inc., and Quantus Division Ltd. Brightwell’s first known transaction was on April 12, 2005. Gotland was established on Feb. 17, 2006, and Quantus followed six months later on Aug. 23. An analysis of these companies’ banking records reveals how they put the Laundromat together: Starting in 2006, they made numerous small payments to a formation agent called IOS Group Inc. to create the dozens of companies that comprised the complete Laundromat. IOS didn’t respond to requests for comment. The three cornerstone companies then continued making payments to IOS ranging from 40 to almost 5,000 euros over almost six years to keep the entire network operating. Over that span, the total reached over 143,000 euros. Quantus, for example, paid formation and maintenance fees for the British Virgin Islands-based Kentway SA. This company was later used, among many others, to send millions of dollars to Sandalwood Continental Ltd., a company connected to Sergei Roldugin, the cellist, and one of Vladimir Putin’s oldest friends. Quantus’ involvement with Kentway demonstrates the many ways in which the Laundromat companies were interconnected. In this case, after first helping establish Kentway, Quantus then funded it with money that Kentway forwarded to Roldugin’s company. Previous leaks of financial data from the Panama Papers and the Paradise Papers reveal that Quantus is owned by Panama-based Cascado AG. That company, itself shrouded in secrecy, is managed by a slew of Latvian proxies, including Stan Gorin and Erik Vanagels — two names reportedly connected to multiple corruption scandals. The connection appears in an Aug. 23, 2006 email in which an IOS Group employee asks a representative of another formation agent, the British Virgin Islands-based Commonwealth Trust Ltd., to incorporate Quantus and 29 other offshore companies. The IOS representative specifically requests that they all be owned by Cascado. To direct the flow of funds through the Laundromat, Troika needed a commercial bank to host accounts for the companies involved. And it needed that bank to avoid looking too closely at the contracts and trades Laundromat businesses used to justify moving money from one offshore company to another. Troika chose Lithuania’s Ukio Bankas for the job. (The Lithuanian lender would later be seized by the country’s National Bank in 2013 for engaging in risky deals and failing to follow regulators’ orders.) Ukio is known to have set up accounts for 35 companies used in the Troika Laundromat, and likely more. Because Lithuania wasn’t yet using the euro, Ukio needed correspondent accounts at European banks, such as the Austrian Raiffeisen or the German Commerzbank AG, to handle euro-denominated transactions. Those two lenders and many other large European and U.S. financial institutions accepted Laundromat money, though they did sporadically inquire about the nature of some transactions. After prodding by one of the correspondent banks, for example, some Ukio compliance officers made inquiries about Laundromat payments that didn’t make commercial sense. “What is the essence of this transaction? We have a contract (attached), but to be honest, I don’t really get what’s happening,” one officer wrote, adding an unhappy face, in relation to a payment that went to a company associated with Roldugin. By this point, the money had already left Ukio’s accounts. Asked why Ukio was chosen as the banker for the offshore companies Troika created, Vardanyan said it was just one of about 20 banks Troika used around the world. A central figure in many of the transactions involving the Laundromat companies was Armen Ustyan. Far from being an investment banker, Ustyan, 34, works seasonally as a construction worker in Moscow. Ustyan’s signature can be found on contracts and banking paperwork in the Troika Laundromat along with those of a few other Armenians. Wearing an old military jacket and hat, he sat down with reporters this January in his cold living room to answer questions about high finance. Ustyan said he had never heard of Dino Capital SA, the Panama-based Laundromat company whose Ukio bank account was registered using his signature. A copy of his passport was attached, but Ustyan insisted he had no idea how it got there. At his mother’s request, he wrote his signature on a piece of paper and concluded that the one associated with Dino Capital had probably been forged. On its bank account records, Dino Capital listed Quantus (one of the three core Laundromat companies) and Renaissance Capital, a leading Russian investment bank, as two businesses it expected to regularly record transactions with. Banking transactions featuring Renaissance also appeared in the previously discovered Russian Laundromat. The bank also received many millions from the Troika Laundromat. In addition to having his signature associated with Dino Capital’s bank account, Ustyan is also listed as an attorney authorized to sign contracts on the company’s behalf, and his signature appears on at least $70 million worth of financial agreements. The Armenian said he knew none of this, though he did recall a slim connection to Troika Dialog: While in Moscow looking for work, Ustyan stayed with a Russian Armenian whose brother he said worked for the investment bank and helped him find employment. The Moscow address is indeed that of Nerses Vagradyan, a Russian citizen of Armenian descent. Nerses’ brother, Samvel Vagradyan, is a director of a Russian company that received millions of dollars from Brightwell, a core Laundromat company. A Samvel Vagradyan is also mentioned on Vardanyan’s website as a donor to the banker’s charitable causes. It’s unknown whether Samvel really worked for Troika. Click to watch on YouTube. Neither of the Vagradyan brothers could be reached for comment. Ustyan said he doesn’t believe they used his identity. Another Armenian front man in the Laundromat appears to be Edik Yeritsyan. His identity was used to register an account at Ukio for the Cyprus-based Popat Holdings Ltd. This company was involved in Laundromat transactions worth millions of dollars. Yeritsyan told OCCRP that he lost his memory three years ago after a car accident and doesn’t remember some parts of his life. However, Ustyan said that he and Yeritsyan lived together in a same flat they were renovating in Moscow. Politicians, criminals and members of the Russian elite, including President Vladimir Putin’s friend Sergey Roldugin, funneled billions of dollars through a hidden banking network, according to an investigation by the Organized Crime and Corruption Reporting Project (OCCRP). OCCRP and Lithuanian news website 15min.lt, partners of the International Consortium of Investigative Journalists, say they obtained 1.3 million banking records, and other documents, to reveal the $8.8 billion scheme. Dubbed the Troika Laundromat, the investigation is named after the Russian private investment bank Troika Dialog that allegedly created and operated the scheme. Led by Russian-Armenian executive Ruben Vardanyan, Troika Dialog reportedly directed billions of dollars from Russia into at least 35 bank accounts at Lithuanian bank Ukio Bankas. The investigation found that the money was subsequently sent to western Europe and the U.S. after being spun through many accounts and companies. Vardanyan has been named by Forbes Magazine as one of Russia’s wealthiest men and is a former advisor to Vladimir Putin. It is not alleged that the financier did anything illegal. Documents indicate that the scheme, which ran for eight years till 2013, combined criminal and legitimate money, making its sources difficult to trace. According to The Guardian, a charity run by Prince Charles received funds from the scheme that is under investigation by Lithuanian prosecutors. Recipients of the transfers also included Eastern European millionaires who used the cash to buy luxury European properties, yachts and sports tickets. There is no suggestion that the recipients, including Prince Charles’ charity, knew of the origin of the cash, which passed through screen companies into the banking system. One high-profile name within the Troika Laundromat is Sergey Roldugin, a cellist and godfather to President Putin’s eldest child. Roldugin received more than $69 million through companies in the Troika Laundromat, according to OCCRP, which says documents show that Roldugin signed 16 contracts — cancelled within weeks — that earned $11.6 million in cancellation fees. Roldugin did not respond to OCCRP’s requests for comment. The Kremlin did not deny the accuracy of the reporting and U.S. intelligence agencies subsequently indicated that Putin’s displeasure with the Panama Papers contributed to Russian efforts to discredit the United States. Other scandals with traces in the Troika Laundromat include a Moscow airport fuel fraud and the theft of $230 million from Russia’s treasury, according to OCCRP. Sergei Magnitsky, who revealed the theft, later died in a Russian jail in mysterious circumstances. Companies involved in the theft shuffled more than $130 million through Troika Laundromat accounts onto unknown destinations, OCCRP reported. Authorities have not accused Vardanyan of wrongdoing and he denied to OCCRP that the bank did anything wrong. OCCRP and 15min.lt collaborated on the Troika Laundromat with 21 media partners from Europe, North America, and South Korea. In addition to the new leaked files, reporters on the Troika Laundromat used documents from previous ICIJ investigations, including Offshore Leaks, Panama Papers and Paradise Papers. A group of investigative journalists have published their findings on what they are calling "the Troika Laundromat," described as a $9 billion money-laundering operation with links to politicians and Russia's largest private investment bank. The investigative-journalism group The Organized Crime and Corruption Reporting Project worked with others including the Lithuanian news site 15min.lt and The Guardian for the project. Journalists said the project represented one of the largest banking leaks ever and entangled Western banks including the US-based Citigroup, the Austria-based Raiffeisen, and the Germany-based Deutsche Bank. The explosive report sent shares of Raiffeisen tumbling 14% in Tuesday trading. The bank says it is opening an internal investigation. A group of investigative journalists have uncovered what they describe as a $9 billion money-laundering operation enabled by Russia's largest private investment bank, Troika Dialog. The operation, in which billions were said to be funneled from shell companies into the global banking system, was uncovered by the Organized Crime and Corruption Reporting Project and the Lithuanian news site 15min.lt using leaked data shared with others including The Guardian. The journalists said the data used in their reporting represented one of the largest leaks of banking information ever, "involving more than $470 billion sent in 1.3 million leaked transactions from 233,000 companies." The OCCRP said the Russian operation, which it called "the Troika Laundromat," was active in syphoning an estimated $4.8 billion into Europe and the US from 2006 to early 2013 and was formed by at least 75 interconnected offshore companies. Those companies generated $8.8 billion worth of internal transactions to help hide the cash's origins, the report said. "The Laundromat allowed Russian oligarchs and politicians to secretly acquire shares in state-owned companies, to buy real estate both in Russia and abroad, to purchase luxury yachts, to hire music superstars for private parties, to pay medical bills, and much more," the OCCRP said in a release on its website. "To protect themselves, the wealthy people behind this system used the identities of poor people as unwitting signatories in the secretive offshore companies that ran the system." The OCCRP said Ruben Vardanyan, then Troika Dialog's president, chief executive, and principal partner, denied wrongdoing by the bank. It also said reporters found no evidence that Vardanyan specifically had been accused of wrongdoing. The OCCRP said that funds were eventually distributed through a series of major Western banks, including the US-based Citigroup, the Austria-based Raiffeisen, and the Germany-based Deutsche Bank. The explosive report sent shares of Raiffeisen tumbling 14% in Tuesday trading. "Raiffeisen Bank International (RBI) is not familiar with the concrete allegations and does not have any further information on the content of the complaint. RBI complies with all anti-money laundering requirements. Its compliance systems and processes have been, and continue to be, regularly reviewed by external parties and are confirmed to be in compliance with the legal requirements." "Deutsche Bank's clients are so-called respondent banks. It is first and foremost the task of the respondent bank to check its customers in accordance with the applicable know-your-customer regulations." The investigation goes right to the top of Russian politics, with links to Russian President Vladimir Putin's friends and business associates. Among the reporting from The Guardian is that in 2009, 2010, and 2011, three transfers totaling $200,000 from one of the shell companies linked to the scandal went to a fundraising vehicle for Prince Charles. The money was reportedly used to help Prince Charles rescue a stately home in Scotland called Dumfries House from being auctioned off. There is no suggestion that recipients such as Prince Charles were aware of the original source of such money, and The Guardian noted that in some cases legitimate money might have entered the system. The Prince of Wales' Charitable Foundation and The Dumfries House Trust "apply robust due diligence processes in accordance with Charity Commission and Scottish Charity Regulator guidelines as well as legislation relating to money laundering, the Bribery Act, terrorism and political activity," a spokesman for Prince Charles' charities told Business Insider in an emailed statement. "In the case of the examples highlighted, no red flags arose during those processes." Some of the first banks that streamed into Crimea after Russia wrested control of the region from Ukraine in 2014 were better known for laundering money than banking. Five of the banks have questionable histories, including ties to the US$ 20 billion money laundering scandal known as the Russian Laundromat revealed last year by OCCRP. Although most of these banks were small and barely known in Russia, they have grown significantly since arriving in Crimea. Their presence raises questions about Russia’s commitment to eliminate money laundering, amid concerns that Crimea could become a money laundering and organized crime zone like other disputed territories on the Russian border. It’s been over a year since Crimean voters chose to leave Ukraine and join Russia in a disputed referendum. That quick decision led to a wholesale meltdown of the region’s banking industry. Ukrainian banks operating in Crimea rushed to close almost 1000 branches in Crimea, following a ban imposed by the National Bank of Ukraine on financial operations in the contested territory. As they left, they may have taken with them the assets and deposits of some local account holders although how much is not clear. They also left with loans they gave out often unpaid. At the time, Ukraine’s Dnipropetrovsk-based Privatbank was the largest network with 337 branches followed by the Ukrainian state-owned Oshchadbank, with more than 250 branches. Ukraine’s banking regulator refused to cooperate with the Russian occupation authority as relations deteriorated. Trade with neighboring Ukraine screeched to a halt. Then waves of international sanctions hit the region. Mastercard and Visa suspended operations making life even harder for consumers as suddenly their credit cards became useless plastic. The Black Sea Bank for Reconstruction and Development and the Morskoy Bank, two local Crimean banks, stayed behind but they couldn’t handle the overwhelming customer demand. People were forced to stand in queues for days to pay fees, taxes and duties of vital importance to their businesses; some fainted from the strain. The new rulers of the Crimean Federal District attempted to establish a new financial system even as they were hit with a sharp drop in the ruble and a severe shortage of ruble reserves. They quickly passed a law to create a new financial infrastructure and a brand-new financial institution, the Fund for Depositor Protection (FDP). The FDP’s role was to handle compensation payouts to Ukrainian banks’ depositors and to administer the 'nationalized' property of the Ukrainian banks. Closely following Kremlin troops into this chaos came a few small Russian banks with controversial pasts and good connections. They were the first to benefit from the nationalization of property. They would be followed by more respected banks later – there are now 28 different Russian banks on the peninsula – but the first benefited the most. GenbankOn April 4, 2014, Genbank became the first Russian bank to open its doors in Sevastopol just two weeks after the peninsula became part of the Russian Federation. At the time, Genbank was unknown to most Russians, having branches only in Omsk and Rostov-on-Don. The small bank was ranked 315th place among Russian banks in terms of total assets managed. But, since the annexation of Crimea, Genbank has shown tremendous growth. According to its website , the bank operates more than 90 offices in Crimea and is the second largest banking network on the peninsula. The FDP leased to Genbank real estate and other property previously owned by Ukrainian banks, including ATMs, terminals and infrastructure. Genbank moved into the offices of Ukrainian banks that had pulled out including JCB Pivdennyi, JSC Kredobank and JSB Brokbusinessbank. Genbank offers its clients Russian Unistream and CONTACT wire transfer services and issues credit cards, with the restriction that they cannot be used for internet payments. The bank is connected to the international payment system via Rosbank, a Moscow-based subsidiary of Societe Generale. Genbank is partially owned by the controversial Russian banker, Evgeny Dvoskin, who controls 4.8 per cent of the share capital; his wife heads the bank’s board. Dvoskin has been investigated several times by various branches of Russian law enforcement for alleged involvement in money laundering, but has yet to face charges. Instead, those who have investigated Dvoskin have found themselves in trouble and even sentenced to jail. In 2006 a group of operatives from the Russian Ministry of Interior started an investigation into a group of Russian banks involved in large-scale money laundering operations. Their effort, they say, was among the largest financial investigation ever started in Russia. Officers of the group, most of them retired today, told OCCRP that the turnover of the money-laundering operations they tracked during the three-year investigation exceeded 1 trillion rubles. The enforcement effort was led by Dmitry Tselyakov, then a major in the Department to Combat Organized Crime and Terrorism. Tselyakov told OCCRP reporters that his group was able to identify a number of organized crime gangs that controlled dozens of small Russian banks. These banks, according to Tselyakov, didn’t conduct any real banking activities, but instead received huge amounts of illegal money in their accounts and then wired the money offshore or turned it into cash. According to Tselyakov, Evgeny Dvoskin was one of the main characters in their investigation. “Dvoskin, together with his ex-partner Ivan Myazin, controlled a number of Russian banks through (front men). Later, the Central Bank of Russia revoked the licenses of these banks for laundering criminal proceeds. During just several years these banks laundered and sent to offshore companies dozens of billions of dollars,” Tselyakov said. Dvoskin’s checkered past is documented in a criminal case file which was put together by Tselyakov’s group with the help of the American FBI. According to the file, Dvoskin was born 1966 in Odessa and, in 1977, moved to the United States with his parents. At the time he used the surname, Slusker. But in 2001, he was deported from the US after a long history of criminal charges for using forged documentation and, after coming back to Ukraine, took his mother’s surname Dvoskin. According to the FBI files obtained by OCCRP reporters, while in the US Dvoskin was involved in a number of criminal activities. He was arrested for the first time in December 1989 for robbery and for possession of illegal drugs. The following year, Dvoskin was again arrested for theft. Over the next 10 years Dvoskin was arrested and sentenced to jail numerous times. At various times he was accused of charges typical of a member of an organized crime gang including illegal possession of a firearm, robbery, bribery of public officials, possession of stolen property and stock fraud. In a letter to the Russian Ministry of Interior, the FBI claimed that Dvoskin shared a cell in a US prison with Vyacheslav Ivankov, also known as “Yaponchik”, a Russian vor v zakon or “thief-in-law” who was one of the best-known leaders in the ranks of the Russian organized crime. Ivankov was shot by a sniper in 2009 in Moscow and died several months later in the hospital. The FBI warned Russian police that Dvoskin was likely a close associate of Ivankov. According to documents from the case file, Dvoskin and his ex-partner Myazin cooperated with scores of Russian banks. Many of those banks were later charged by Russian authorities with money-laundering. For example, Dvoskin and Myazin worked with Migros bank, Siberian Bank of Development and Falcon bank. All three banks lost their licenses in 2006 and 2007 for violation of anti-money laundering regulations. The amount of money laundered just in these banks totaled about US$ 3 billion. Tselyakov claims that once his team started to investigate Dvoskin’s banks, they faced unprecedented pressure. “We wiretapped Dvoskin and his partners and found that his group had influential friends in the Russian secret services. They tried to fire me many times. One day the file cabinet of our investigator who led the case against Dvoskin was searched by officers of the Ministry of Interior and Russian security service (FSB). They seized all the important documents from the criminal case,” claimed Tselyakov. In 2008, Tselyakov, together with his partner, were arrested by law enforcement for attempting to defraud another banker of €1 million euros from another banker. That banker was another controversial Russian businessman, German Gorbuntsov, known in the media as “the black banker”. Dvoskin and Gorbuntsov knew each other Gorbuntsov would later testify. Tselyakov said the charges were false and designed to get rid of him. Gorbuntsov and his partners have faced multiple charges of money laundering and fraud and a business partner of Gorbuntsov’s was arrested for murdering the country’s top banking regulator. Gorbuntsov is currently charged with money laundering in the Republic of Moldova and is wanted by Russian oligarchs who allege he stole hundreds of millions of dollars from them. Tselyakov was found guilty of fraud and spent more than four years in jail. The criminal case against Dvoskin was stopped and the banker got legal protection from the FSB as a witness. Meanwhile, the Russian business daily Kommersant is reporting that Dvoskin’s bank in Crimea will merge with the state owned Crimean bank, ChBRR, although the report could not be confirmed and no details are available. Genbank was not the only bank to open. Some have connections to a very large money laundering scandal. In 2014, OCCRP identified what is believed to be the biggest money-laundering operation in Eastern Europe, called the “Russian Laundromat”. Between 2011 and 2014, organized criminals and corrupt politicians moved US$ 20 billion in dirty funds from Russia to Moldova and then to the European Union. The complex scheme included dozens of Russian banks including some controlled by Russian President Vladimir Putin’s cousin, Igor Putin. The money transfers were supported by fake contracts between phantom offshore companies run by proxies who hid the real owners. The bogus transfers were then legitimized in court decisions by Moldovan judges, many of whom are now under investigation for bribery. Moldovan authorities have launched a criminal investigation into the “Laundromat” scheme but so far Russian law enforcement has not cooperated with Moldovan authorities. Meanwhile, some of the Russian bankers involved in the “Laundromat” operations are now doing business in Crimea. According to documents seen by OCCRP reporters, Baltica, a bank from St. Petersburg, was one of the most active users of the “Laundromat.” Moldovan authorities claimed that bogus companies with accounts in Baltica moved more than US$ 2 billion to Moldova from 2011 till 2014. The director of Baltica, Oksana Chernyak, denied any wrongdoing in a letter to OCCRP. Businessman Oleg Vlasov is Baltica’s largest shareholder, owning 20 percent of the bank. Vlasov was also mentioned in a number of documents generated by Tselyakov’s anti-money laundering group. “According to wiretaps, Vlasov was connected to the biggest money launderers in Russia. We even interrogated him, but didn’t manage to bring any charges against him. The whole investigation was stopped and I was arrested,” says Tselyakov. Vlasov, together with some partners from Baltica, controls the Verhnevolzhskiy bank. Verhnevolzhskiy was established in 1990 but before coming to Crimea it mainly operated in the Yaroslavskiy region of Russia, where it had a number of subsidiaries in small regional towns. Verhnevolzhskiy entered Crimea in 2014 and now operates 26 offices. In December 2014, the Central Bank of Russia fined Verhnevolzhskiy for violating anti-money laundering regulations. The Central Bank didn’t disclose any details of the violation. Another Russian bank which was involved in the "Laundromat" is Tempbank. Today it also operates two offices in Crimea. Tempbank was established in 1989 and in 2014 was included in a US sanctions list made in response to events in Syria and not Crimea. According to a U.S. Department of the Treasury press release, the American government took these actions to put pressure on the Syrian regime and its supporters. “The Treasury Department designated Moscow-based Tempbank and Mikhail Gagloev, a senior executive of the bank, for providing material support and services to the Government of Syria, including the Central Bank of Syria and SYTROL, Syria’s state oil marketing firm”, said the U.S. Department of Treasury in its statement. K2 is a small bank from the Northern Caucasus republic of Karachay-Cherkessia and is ranked the 471th largest bank in Russia based on assets under its management. The bank was established in 1994 in Vladikavkaz, Northern Ossetia. Since then, the bank has changed its name and headquarters a few times. After the annexation of Crimea, K2 opened six offices in Sevastopol, Simferopol, Feodosia and Evpatoria. The bank doesn't operate any of the basic tools used by commercial banks nowadays such as ATMs or pay terminals -- kiosks operated by banks to allow customers to pay their bills easily. The share capital of the bank is divided between 14 people, with each of them controlling a stake of up to 10 percent. These shareholders are not well known in banking circles in Russia, but OCCRP found that some of them were connected with other financial organizations shut down by authorities for money laundering. One of the main shareholders of K2 with 10 percent is Margarita Chukanova. According to the Russian commercial register, in 2006 Chukanova was a minority shareholder in the nonbanking credit organization, RK-Center. The operating license of RK-Center was revoked by the Central Bank of Russia in 2006 for money-laundering violations. The Central Bank claimed that clients of the RK-Center made fake payments in excess of 25 billion rubles or about US$ 1 billion at the time to foreign companies. Another small Moscow-based bank which has opened in Crimea is Adelantbank. The bank was established in 1992 as Lesopromishlenniy bank and in 2012 changed its name to the current one. Adelantbank ranks 561th among Russian banks based on assets under its management. . Adelantbank operates three offices in Crimea, one in Evpatoria and two in Simferopol. The bank has no ATMs or pay terminals and one of its branches in Simferopol is located in the office previously occupied by the Kyiv-based Finance and Credit bank. The share capital of the bank is divided between 11 persons, all of them controlling small stakes. One of owners of Adelantbank is Maxim Lipskiy. According to the Russian Central Bank, in 2014, Lipskiy through a UK company, Brys Worldwide Ltd, held a significant stake (9.8 per cent) in another Moscow bank, Sovinkom. In 2014, the Central Bank revoked the license of Sovinkom for violation of various banking laws including anti-money-laundering. The regulator claimed that in 2013 clients of Sovinkom made dubious financial transactions worth more than 6.8 billion rubles (about US$ 207 million). Another owner is Anna Lyga who, in 2013, through a set of Russian companies, was an owner of 6,6 % of Genbank, the bank with the second largest network in Crimea. Bank fraud is an important part of banks' operational risk exposures. As a globally systemically important bank, Deutsche Bank’s risk management capabilities should matter not only in Germany and the United States, but in any country where Deutsche Bank has legal entities. Bloomberg’s Tim O’Brien and the New York Times’ David Enrich have recently produced well-researched, detailed articles about President Donald Trump’s relationship with Deutsche Bank. O’Brien and Enrich present numerous incidents going back twenty years of Trump “inflating his wealth” when trying to obtain approval for loans or securities underwriting. These incidents seriously call into question the quality of Deutsche Bank’s risk management enterprise-wide. If it is proven that Trump knowingly exaggerated his net worth, then journalists need to start using the word ‘lied.’ When anyone lies to a bank in order to receive credit or approval to underwrite a securities issue, this is called fraud. People lie to banks, because they are looking to receive not only approval for a loan or an investment product, but also because they are looking for more favorable terms, such as a longer maturity on a loan or lower interest rates, than they would have received if they told the truth. Fraud is an important element of operational risk, which under the Basel Committee for Banking Supervision’s Basel Accord (now Basel III) is defined as a breach in the day-to-day running of a business due to a failure in or of people, processes, technology or external events. Fraud can be external, that is someone outside of a bank lies to the bank to obtain approval for a transaction. Yet, fraud can also happen within a bank, that is, if a professional at a bank helps a customer obtain a loan or financial transaction by helping the customer lie or by making changes to relevant information or interfering in an established bank process to help a client get approval for the transaction. No doubt, more information will be coming out about Trump and his relations with Deutsche Bank as the New York Attorney General analyzes documents for which a subpoena was issued on March 11 and as the U.S. Committee on Financial Services, under the leadership of Representative Maxine Waters, also requests information from Deutsche Bank. In the U.S. Deutsche Bank is about a $135 billion institution, which is interconnected to thousands of U.S. individuals, financial institutions, non-financial companies, and municipalities. Given Deutsche Bank’s size, complexity, and interconnections with the residential, financial, and corporate sectors, here are just a few questions I urge legislators, regulators, and the media on both sides of the Atlantic Ocean to pose and to obtain documentation with proof of the responses. Since at least 1997, the Federal Reserve, Deutsche Bank’s federal regulator, has had a number of comprehensive compliance manuals for bank examiners to follow when examining banks. Those manuals are publicly available so that all banks know exactly what the Federal Reserve expects of them. The Examination Manual for U.S. Branches and Agencies of Foreign Banking Organizations has detailed guidance for important elements of a bank’s risk management such as credit risk, loan sampling, and underwriting standards. It also includes guidance for red flags surrounding internal controls and fraud. Private banking, which is the area through which Trump acquired most of his loans, has an entire section, 3430.1, dedicated to it. Where is the written information about loan or securities underwriting approval processes that determines whether Deutsche Bank in Frankfurt needs to approve transactions of a certain amount or whether this is solely up to the discretion of the branch or legal entity where a client requests a financial transaction? What level of a transaction is needed for senior executives to know about a big client? Who is responsible for informing senior executives in New York and Frankfurt about what transpires in private banking? Where are the written internal controls policies and procedures, especially for the investment banking and private banking divisions in New York and Chicago? Who verifies that those controls are followed? How many loans or other financial transactions has Trump ever asked for? What are the amounts of each transaction and of what legal entity were they requested? What legal entities of Deutsche in the U.S. or abroad have approved loans or any financial transaction for Trump? How are concentration limits by individual and by purpose of lending, such as commercial real estate, determined and calculated at Deutsche? Were the loans and other financial transactions within concentration limits of the bank? How are limits monitored? What happens when there are breaches? If limits are breached concentration limits, did you ask the legal entities to limit the financial transactions to Trump? Were the loans placed in different legal entities to avoid geographic, individual, or product concentration limits? What are your real estate lending policies? Are they in line with guidance in the Federal Reserve’s compliance manual Section 3100.1? What documents, architecture plans, zoning plans, pictures, financial models or other inputs did you request of Trump and related parties when bankers had to analyze securities underwriting or loan requests? Did any of your bankers visit the properties for which Trump was requesting loans? Can you produce the documents, plans, and pictures Trump gave you to support loan approval? Did Deutsche bankers ask for the methodology that Trump used to determine the value of his assets, especially for real estate and his brand? Did you speak to Trump’s accountants? And if there was a model to determine assets’ value, what is the expertise of the modeler? Was the model audited? In 2004, Trump told you that he was worth $3 billion. You calculated that he had a net worth of about $788 million. What methodology did you use to calculate his net worth? Did you show your methodology to Trump and his accountants and modelers? What accounts for such a huge difference? In the deposition ‘Trump, Plaintiff, vs. Timothy L. O’Brien’ on December 19, 2007, Trump described how he assesses his net worth. Is this methodology acceptable to Deutsche in determining net worth for all clients seeking loans? To your knowledge what academic papers use this methodology to determine net worth? Trump's methodology for his net worth. Source: Donald J. Trump, Plaintiff, vs. Timothy L. O’Brien, Superior Court of New Jersey, Camden, CAM-L-545-06, December 19, 2007. Did Deutsche design its own model and use its own data to determine Trump’s net worth? Was that model validated by independent model validators and subsequently audited by internal or external auditors? What is model governance like at Deutsche? Did anyone interfere with the process to make sure that Trump would get the loans and at favorable rates? Real estate is difficult to value due to its illiquidity and because it is hard to find an exact peer group to do comparables. A brand is even harder to value due to the subjectivity of coming up with a value. Were those challenges taken into account as part of the loan and other financial transaction approval process? Given Trump’s history of defaults to other banks and to you, what was his internal risk score at Deutsche? Was this internal risk score used in any way when determining whether any financial transaction should be approved? Did you follow Basel II and III standards under the Advanced Approach for how internal risk scores should be used in lending and for regulatory capital measurements? Have you been cited for breaching any Basel II and/or III standards for credit risk measurement? Were those defaults used in quantifying probabilities of default and loss given default(loss severities) when pricing any credit line or loan to him? Were his defaults used to calculate the level of collateral that he should put up? How was the collateral valued and how often? Did you ever request more collateral when Trump’s credit worthiness or the value of the collateral management declined? Were the terms given to him for loans or securities issuances in line with those given to individuals with the same risk scores or were they more favorable? Every time that Trump defaulted to you or to another financial institution, did you lower his internal risk score? How were Trump’s probability of default and loss severity used to calculate the bank’s loan loss reserves and regulatory capital? Were those calculations verified? Did anyone make changes to those calculations to expedite loan approval or securities underwriting transactions or to make loan loss reserves and capital more favorable? Have you found that you mispriced any loan or financial transaction to Trump? If so, did you recalculate your loan loss reserve, risk weights, and/or regulatory capital? Did you inform bank and financial regulators in the U.S. and Europe? Mispriced loans lead to an inaccurate loan loss reserve and also the incorrect level of regulatory capital to sustain unexpected losses. These figures appear in disclosed financials and Basel’s Pillar III risk disclosures, (which in Europe were adopted since 2006). Both financial and risk disclosures are utilized by bond and stock investors and by any counterparty engaging in a derivative, loan or any other financial transaction with a bank. Intentional misstatements should be investigated as fraud; accidental misstatements should be investigated as an example of poor risk management that might be occurring not only for financial transactions for Trump but for other clients as well. Did you ask Trump whether he was suing or being sued by anyone at the time he asked for loans from you? Were legal actions by or against him impact how you determined his internal risk score or collateral he should place for loans? Where are the internal auditors reports about loan and securities underwriting processes related to Trump transactions for the last twenty years and do the contents show any red flags? If so, how were the red flags followed-up? Have you found any individual or individuals at Deutsche who helped Trump calculate his net worth? If so, how did you deal with these employees? Have you found individuals who ignored errors, missing documents, or false statements in Trump's requests for loans or other financial transactions? Please enumerate all the fees that you earned and the clients that you lured. How did you lure the clients? Do you have documentation of any kind where you used Trump’s name to get more clients? Given you credit and operational risk management around Trump’s loans, is there any reason investors or financial regulators should think that your controls are better for other clients, especially those wealthier than Trump? How are you calculating your operational risk exposure? Given all the fines that you have been charged, should you be increasing your operational risk portion of risk-weighted assets and hence your levels of regulatory capital? If Trump or you are found to have committed fraud, how quickly will you raise capital for operational risk? If legislators and regulators cannot get answers to these questions soon, I think that it is high time we say not only auf wiedersehen (until we see each other again) to Deutsche Bank, but more appropriately, auf nimmerwiedersehen, (may we never see you again or good riddance). 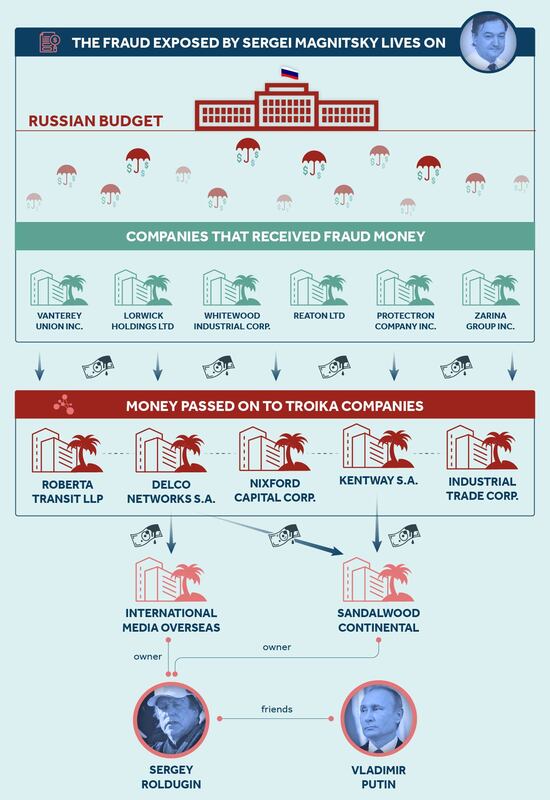 Dozens of companies in the #TroikaLaundromat generated $8.8 billion of internal transactions to obscure the origins of cash that the network used to channel money out of Russia, hide assets abroad, and launder money. An internal investigation found that Deutsche Bank may have breached anti-corruption regulations through its involvement in money laundering and that it could face penalties, while its senior management could risk prosecution. The document, a presentation made by Deutsche Bank’s anti-financial crime unit last April, was obtained by the Guardian and shared with OCCRP. It evaluates Deutsche Bank’s involvement in the Russian Laundromat - a scheme uncovered by OCCRP which saw some US$20 billion of Russian money laundered through banks in Moldova and injected into the European financial system. Crucially, it says that the bank was unaware of the possibility that it was channeling billions in illicit cash into the European financial system until the OCCRP ran its story. “Until the publication of the intelligence on the OCCRP website in March 2017, Deutsche Bank was not aware of this money laundering scheme,” says the document. According to the document, Deutsche Bank had by last year filed Suspicious Activity Reports (SARs) on over a hundred clients as a result of its own investigation of the Laundromat. The bank admits the affair could damage its “global brand,” cause financial loss for its clients who could take legal action against the bank. The report called for the bank to update its watch list with suspicious clients it had found in its internal review, and to mull changing its alert system for money coming from shell companies. Contacted by OCCRP, Deutsche Bank declined comment on whether its investigation into the Russian Laundromat was ongoing. However, it directed reporters toward a compliance agreement it reached with the New York State Department of Financial Services regarding the bank’s involvement in another Russian money laundering scheme--mirror trading in securities--from 2011 to 2015. “Afflicted with inadequate AML control policies, procedures, and structures, Deutsche Bank missed several key opportunities to identify and interdict this scheme,” said that agreement, which required the bank to pay the regulator US$425,000,000. It adds that “greed and corruption” motivated Deutsche Bank traders in Moscow. Deutsche Bank has been wracked with scandal in recent years over its involvement in a slew of money laundering schemes. 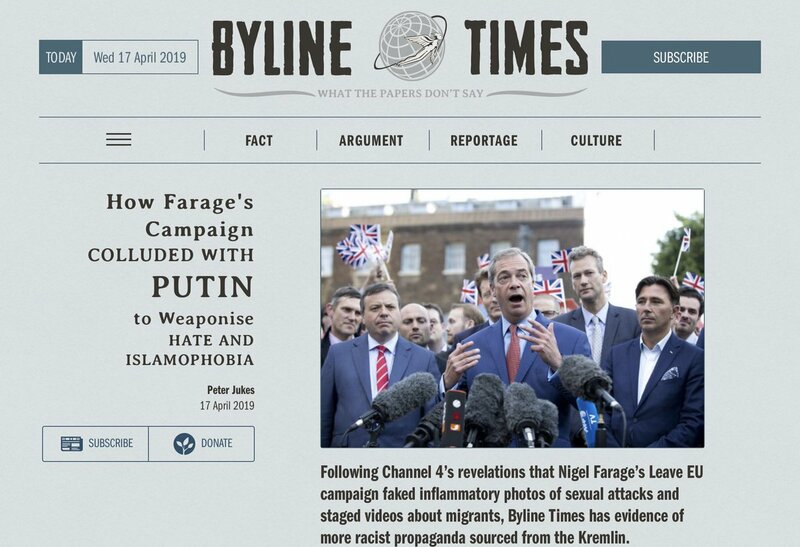 These include the Russian Laundromat, the mirror-trading scandal which saw US $10 billion of dirty Russian money laundered through the bank’s Moscow branch, and another scheme linked to Danske Bank’s alleged facilitation of money laundering through its Estonian branch. German authorities seized in February 50 million euros (US$56.7 million) believed to be derived from the Russian Laundromat. Water spills out of a small dragon sculpture on a fountain with the headquarters of the Deutsche Bank in background in Frankfurt, Germany. Germany’s troubled Deutsche Bank faces fines, legal action and the possible prosecution of “senior management” because of its role in a $20bn Russian money-laundering scheme, a confidential internal report seen by the Guardian says. The bank admits there is a high risk that regulators in the US and UK will take “significant disciplinary action” against it. Deutsche concedes that the scandal has hurt its “global brand” – and is likely to cause “client attrition”, loss of investor confidence and a decline in its market value. Deutsche Bank was embroiled in a vast money-laundering operation, dubbed the Global Laundromat. Russian criminals with links to the Kremlin and the KGB used the scheme between 2010 and 2014 to move money into the western financial system. The cash involved could total $80bn, detectives believe. Shell companies typically based in the UK “loaned” money to each other. Companies then defaulted on this large fictitious debt. Corrupt judges in Moldova authenticated the debt – with billions transferred to Moldova and the Baltics via a bank in Latvia. Deutsche Bank was used to launder the money via its corresponding banking network – effectively allowing illegal Russian payments to be funnelled to the US, the European Union and Asia. The bank was entirely unaware of the scam until the Guardian and Organised Crime and Corruption Reporting Project (OCCRP) broke the story in March 2017, the report says. The first it knew was an email from the Guardian and Germany’s Süddeutsche Zeitung newspaper asking for comment. “Only with this intelligence received is it now possible for Deutsche Bank to start global investigations,” it notes. In the embarrassing aftermath, the bank asked two in-house financial crime investigators – Philippe Vollot and Hinrich Völcker – to find out what had gone wrong. Their nine-page presentation was shared last year with the audit committee of the bank’s supervisory board and is marked “strictly confidential”. The pair identified numerous “high-risk entities”. They included 1,244 in the US, 329 in the UK and 950 in Germany. These entities were responsible for nearly 700,000 transactions, the report says, involving at least £62m in the UK, $47m in the US, and €55m in Germany. As part of its investigation, Deutsche Bank sent 149 “suspicious activity reports” to the National Crime Agency in London. Similar disclosures of potential money-laundering transactions were made to authorities in the US and elsewhere – with 30 private and corporate Deutsche Bank clients reported. Some may have been “unknowingly used”, the report says. The affair is a further blow to Deutsche Banks’s ailing reputation. It comes amid police raids on its Frankfurt HQ over the Panama Papers, a plunging share price and talks over a possible merger with Germany’s Commerzbank. The raid last November came after German prosecutors alleged two bank employees helped clients launder money via offshore firms. Deutsche is also under scrutiny in Washington over its financial dealings with Donald Trump. On 15 April, Democrats from the House intelligence and financial services committees issued a subpoena, demanding the bank provide documents about its lending to the president. Over two decades, Trump borrowed more than $2bn from Deutsche. In 2008, he defaulted on a $45m loan repayment and sued the bank. Its private wealth division in New York subsequently loaned Trump a further $300m – a move that bemused insiders and which has yet to be fully explained. In recent years, the bank has had a series of bruising encounters with international regulators. Between 2011 and 2018, it paid $14.5bn in fines, with exposure to dubious Russian money a regular theme. In 2017, the UK’s Financial Conduct Authority imposed its largest fine – £163m – after Deutsche carried out a $10bn “mirror trade” scheme run out of its branch in Moscow. The New York Department of Financial Services (DFS) fined the bank $425m over the same case, in which roubles were converted into dollars via fake trades on behalf of VIP Russian clients. Deutsche carried out an internal investigation into the “mirror trades” affair, “Project Square”. The leaked Global Laundromat report says there is “no systematic link” between the two Russian money-laundering schemes. However, it suggests some overlap. Two unnamed entities feature in both and 46 “mirror trade” entities “directly transacted” with 233 laundromat ones. The leaked report says Deutsche has cleaned up its act. It says it has stopped doing business with the two banks at the centre of the Laundromat scandal – Moldova’s Moldindconbank and Latvia’s Trasta Komercbanka. Regulators in Latvia closed down Trasta in 2016 because of serial money-laundering violations. Deutsche Bank says it has “reduced its footprint” across the post-Soviet region. It no longer has relationships with any banks in Moldova, Latvia, Estonia and Cyprus, the report says. All are favourite destinations for illicit Moscow money. The bank has scaled down its business activities in Russia and Ukraine, it says. The bank is under investigation for its role in Europe’s biggest banking scandal, involving Denmark’s Danske Bank. Danske laundered €200bn (£178bn) of Russian money via its branch in Estonia. Deutsche provided correspondent banking services via its US subsidiary. Deutsche Bank said it could not comment on “potential or ongoing investigations”, or on “any matters regarding our regulators”. It said it was committed to providing “appropriate information to all authorised investigations”. Deutsche Bank, the German bank that became famous for lending Donald Trump money when no other major bank would touch him, fears it’s about to get hammered over its role in facilitating a massive Russian money laundering scheme. The Guardian reports that a confidential internal Deutsche Bank report warns that regulators in the United States and the United Kingdom could bring the hammer down for helping Kremlin-linked Russian criminals move dirty money into the global financial system. Although it is not yet known how much money was moved as part of the scheme, which as been dubbed the “Global Laundromat,” investigators believe there could have been as much as $80 billion laundered through the bank. “Deutsche Bank was used to launder the money via its corresponding banking network – effectively allowing illegal Russian payments to be funneled to the US, the European Union and Asia,” the publication writes. A major report from the New York Times last month found that executives at Deutsche Bank saw major “red flags” surrounding President Donald Trump’s financial dealings — but they kept funding him anyway, in part because he helped bring prestige to their institution.